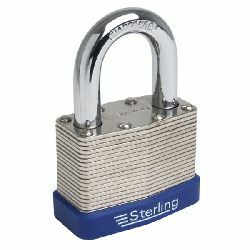 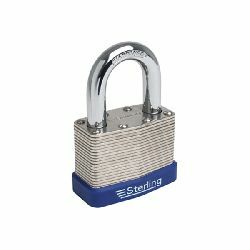 The laminated steel padlock body is built up of a stack of steel plates which are riveted together. 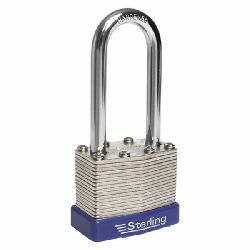 The resulting structure forms a robust steel body which helps to protect the locking mechanism from drill or hammer attack. 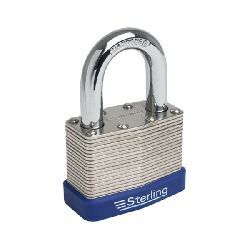 With a range of body sizes and shackle length to choose from and Keyed Alike options on some sizes, there is bound to be one to fit your requirements. 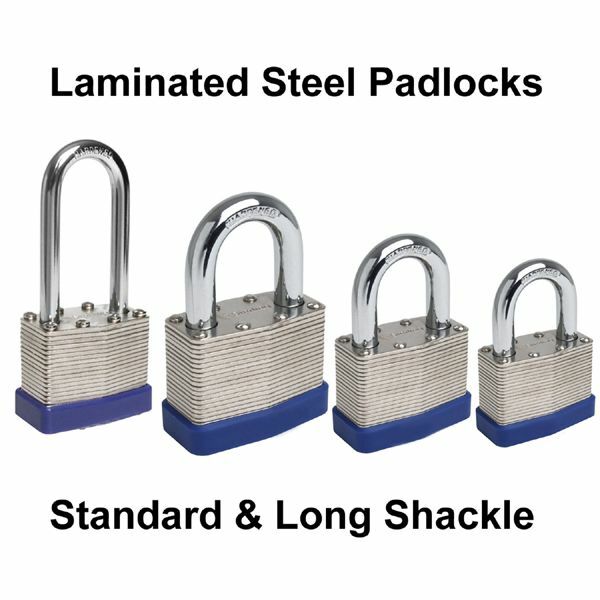 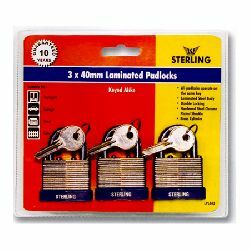 These padlocks are a popular choice for general purpose applications.